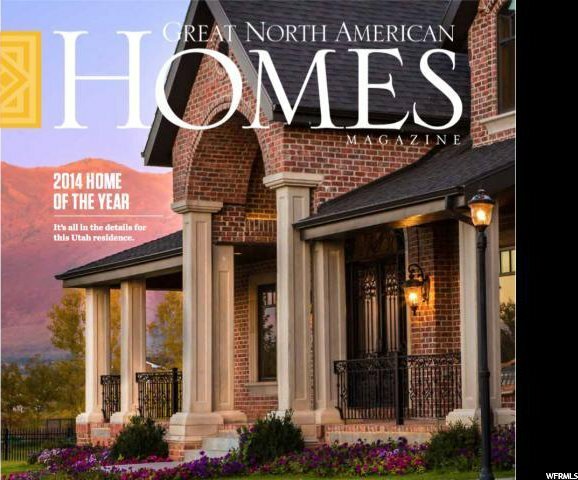 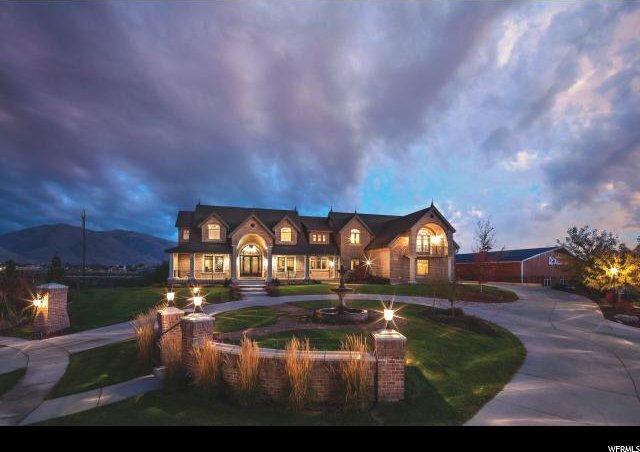 This spectacular custom home was featured in the 2014 Great American Homes Magazine as the Home of the Year! 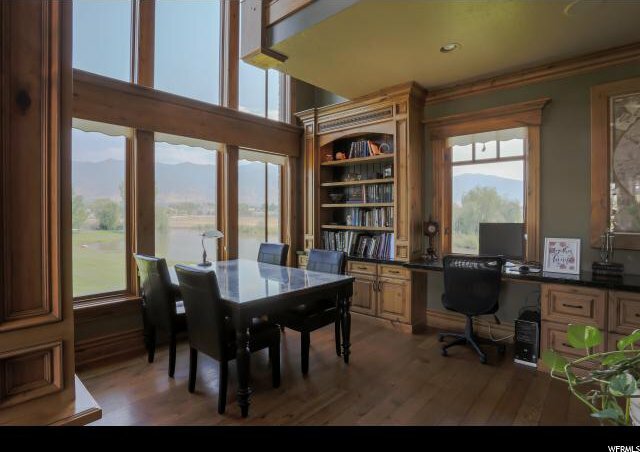 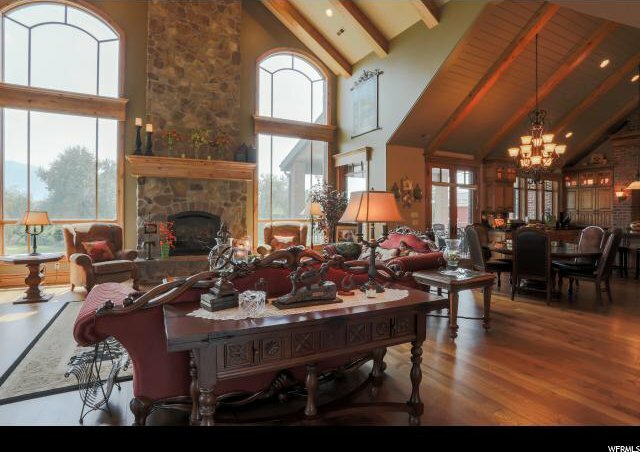 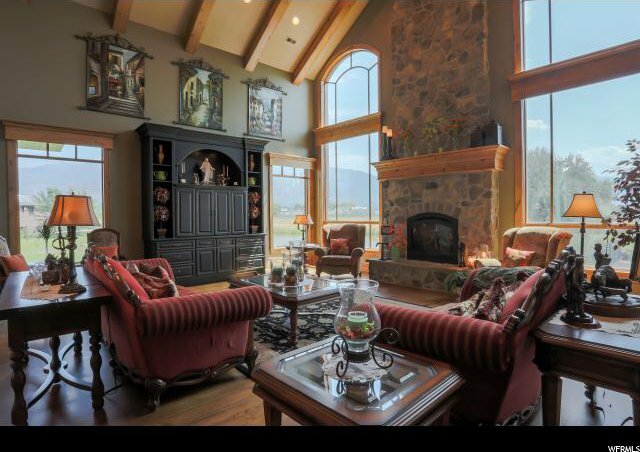 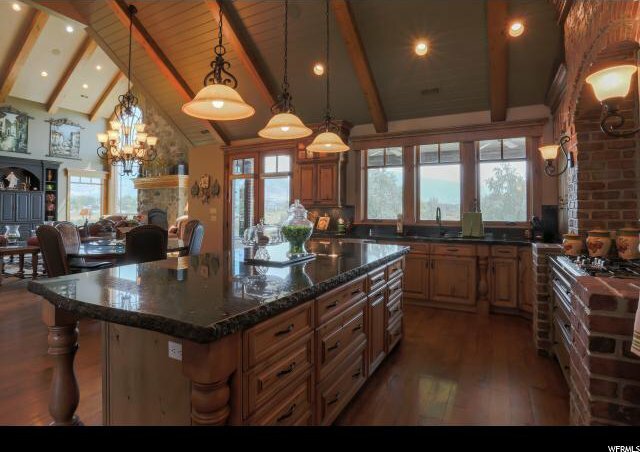 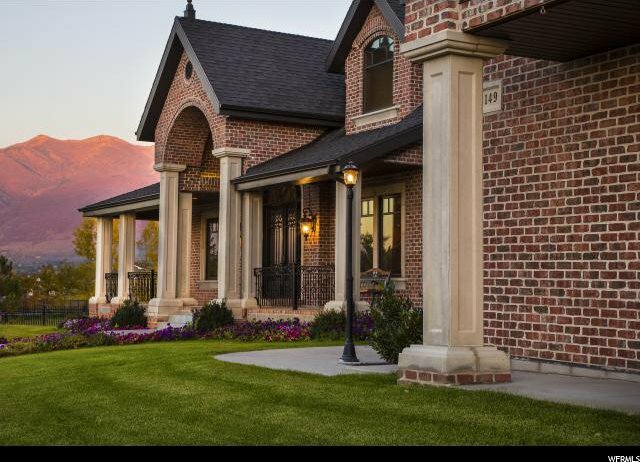 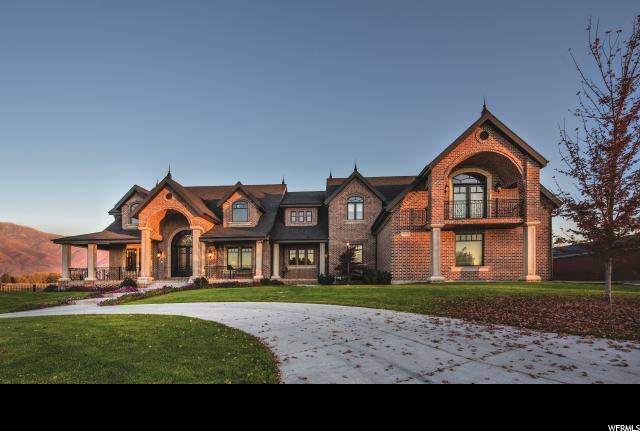 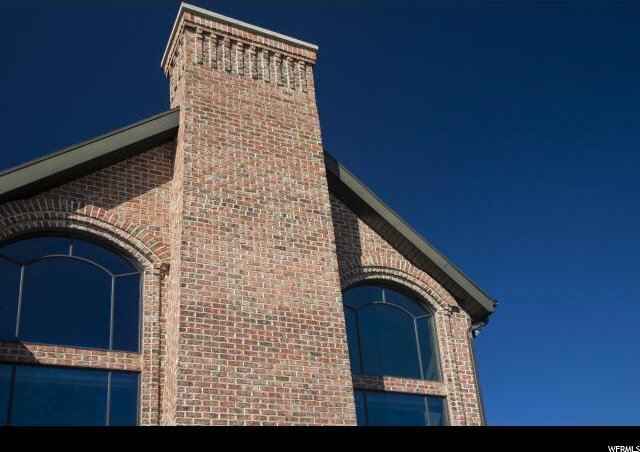 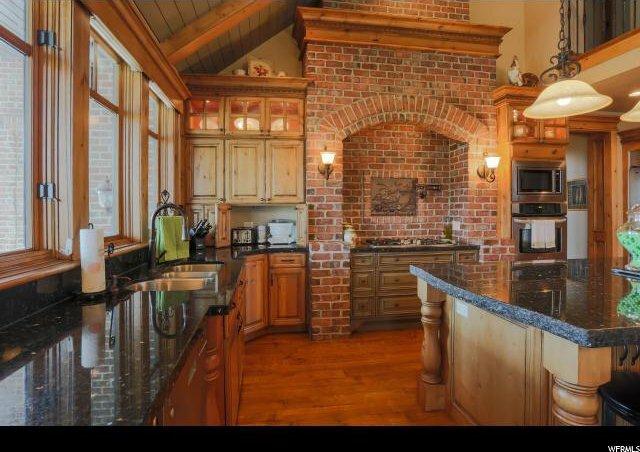 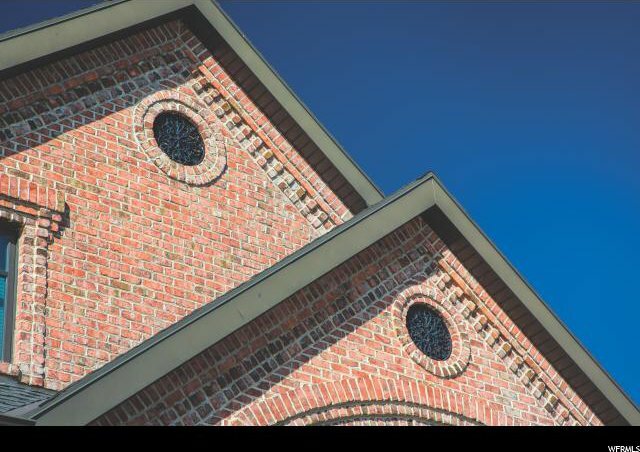 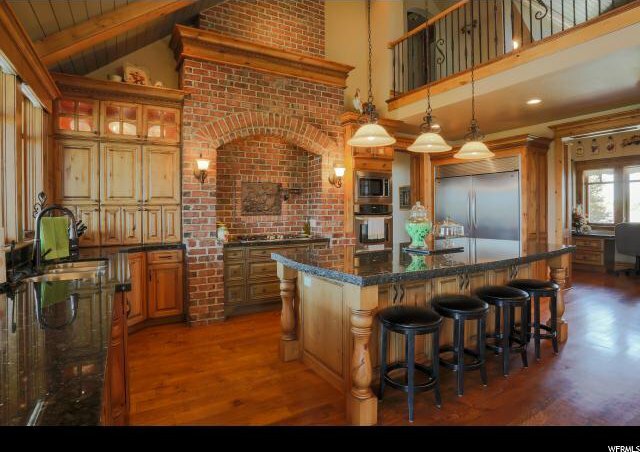 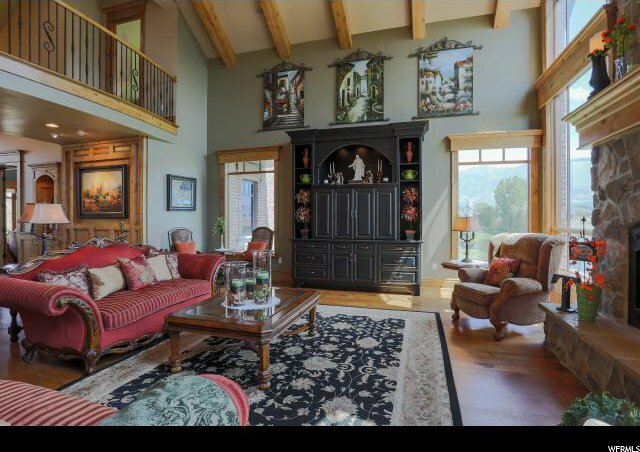 In its unique rural setting with mountain and water views, the exceptional craftsmanship of the all brick exterior and detailed interior custom woodwork set this home apart. 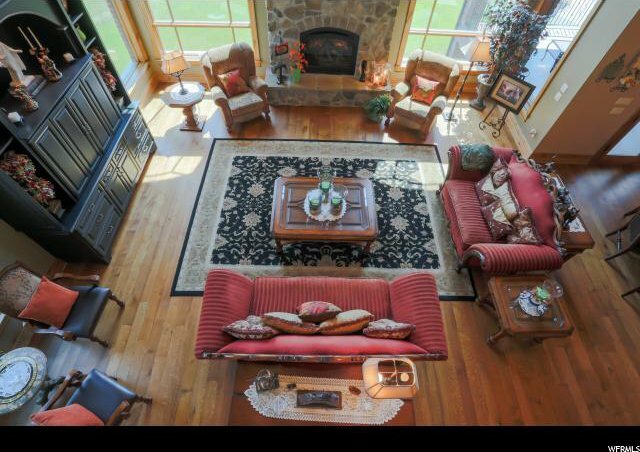 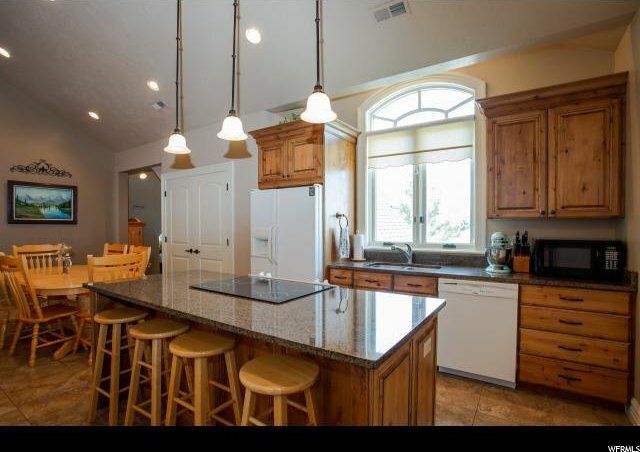 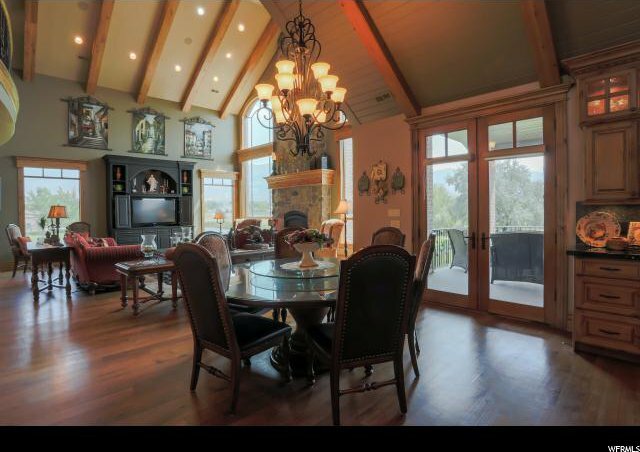 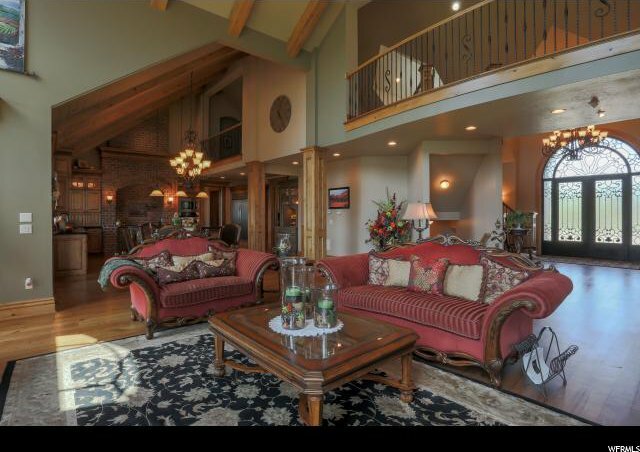 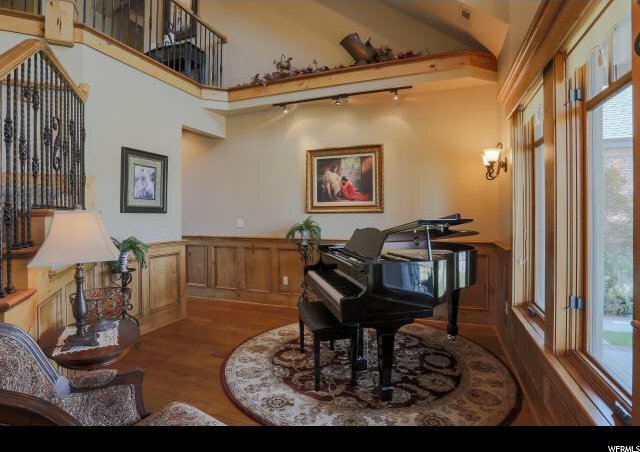 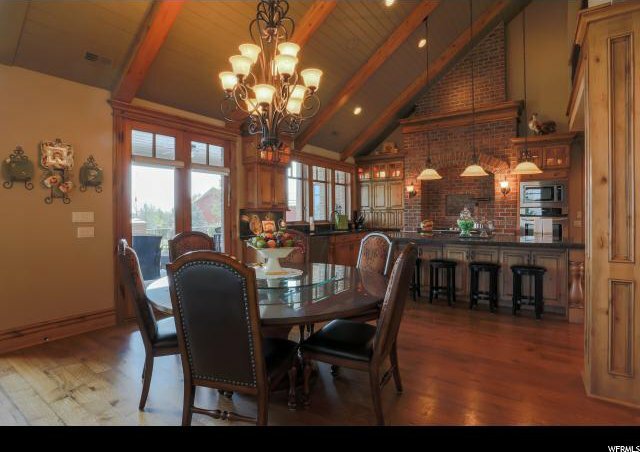 Other special features of this home include: Grand entry (14' iron/glass door) with upper level bridge overlooking all the main living areas, exposed wood beams, a stunning 2-story stone fireplace and a one of a kind built-in entertainment center in the family room. 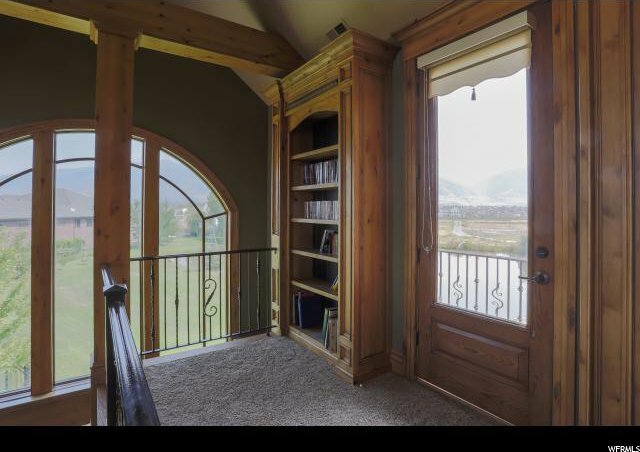 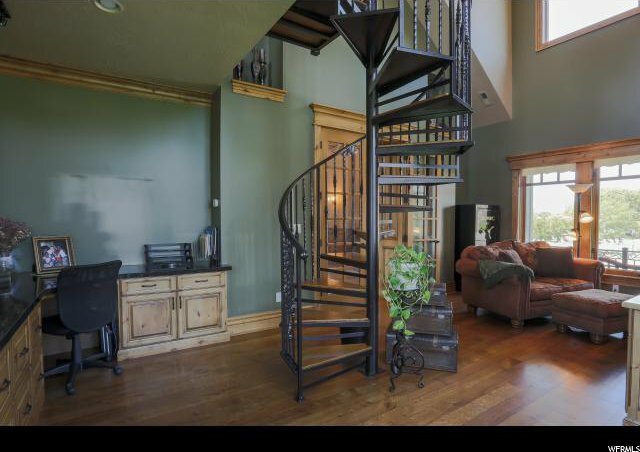 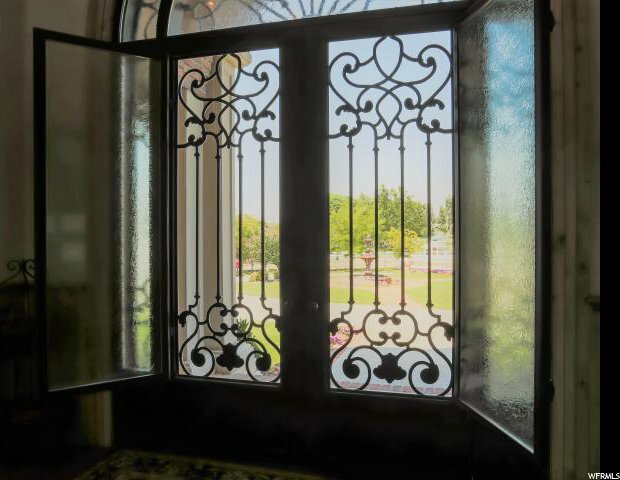 You will love the two-story library with spiral staircase and private balcony plus views. 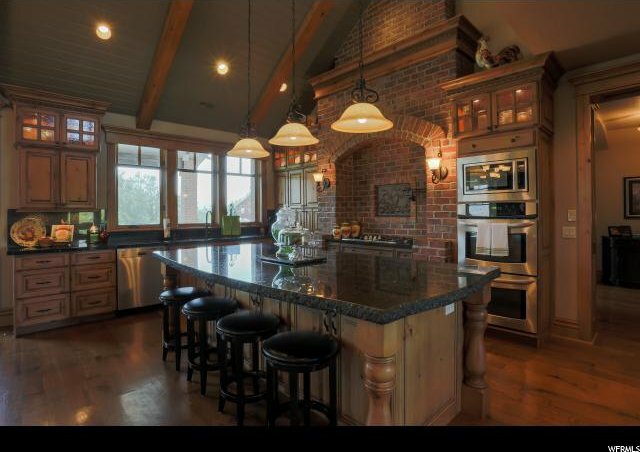 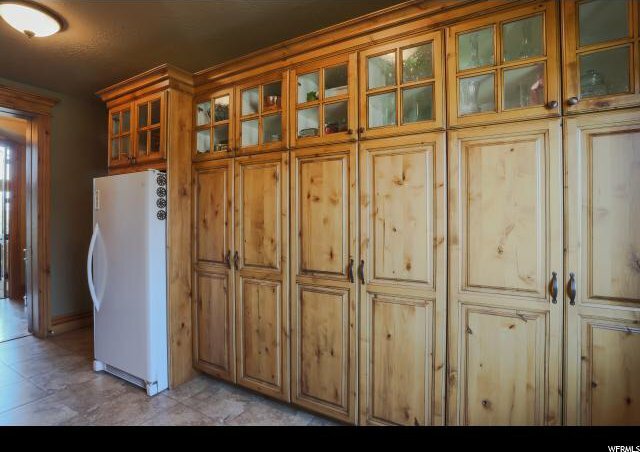 Details of this home also include smart home Control 4 System, quarter-sawn oak hardwood floor, plank and barrel ceilings, central vac with 50' Hide-a-hose, custom dream kitchen with brick stove base and chimney, a large island bar, built-in china hutch, double ovens, appliance cabinet and a separate butler's pantry with a 2nd sink and dishwasher. 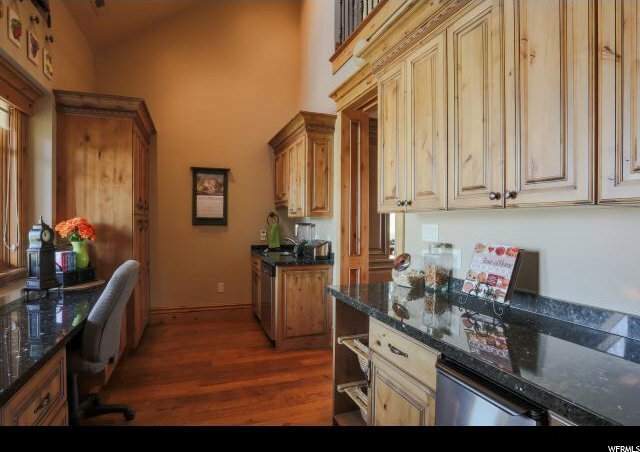 A front access "back door" leads to the mud room with custom wood lockers, freezer and storage. 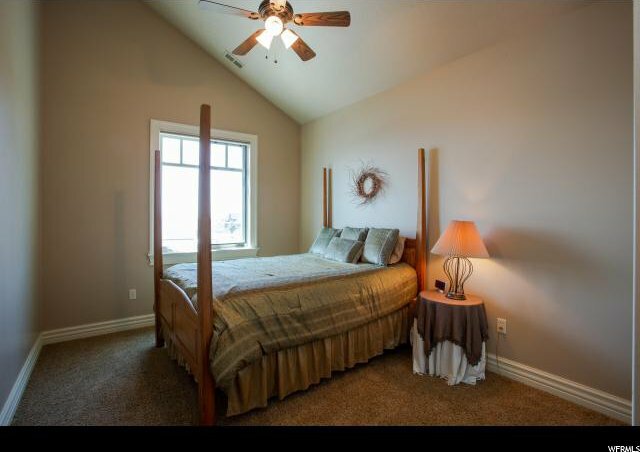 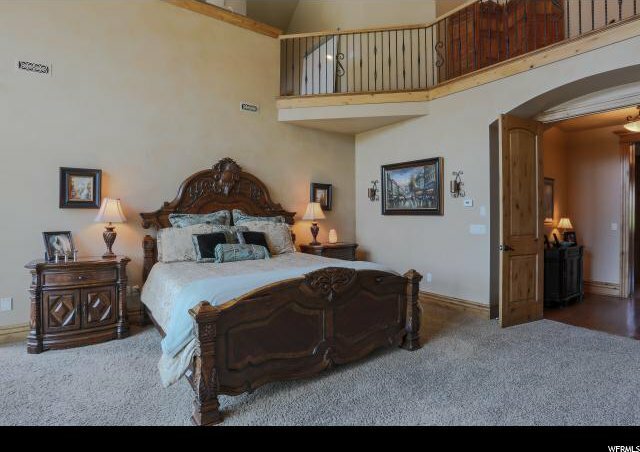 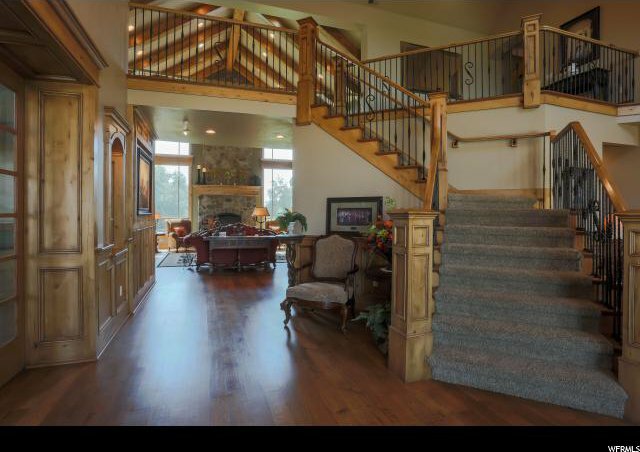 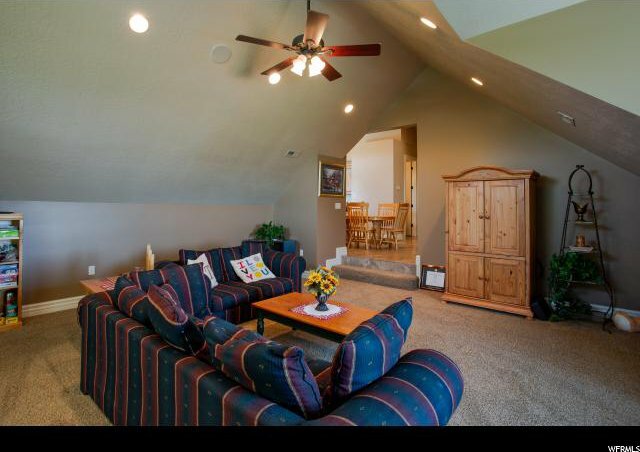 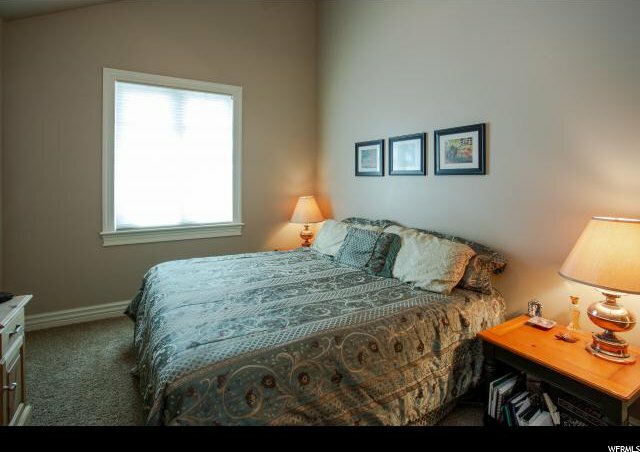 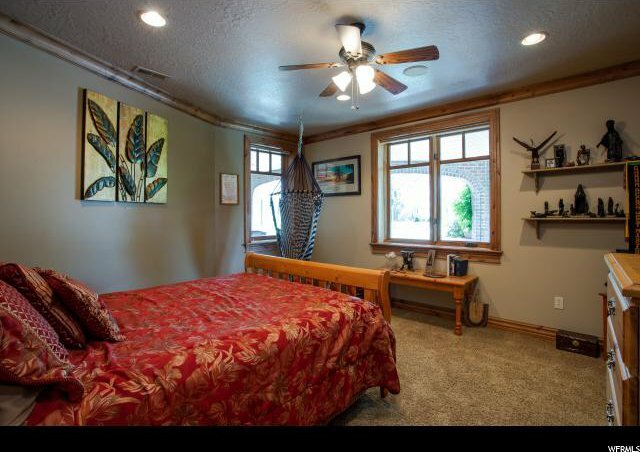 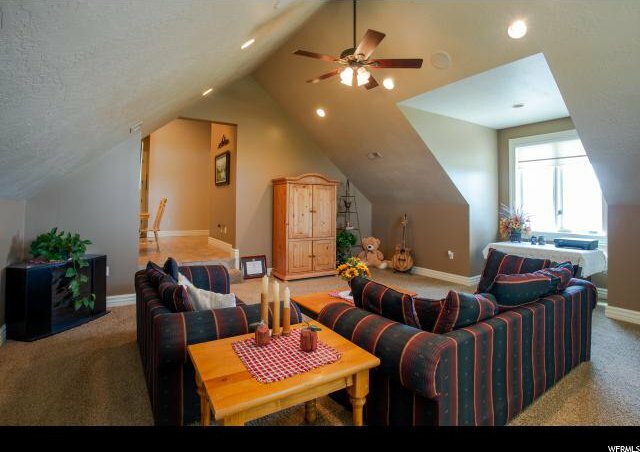 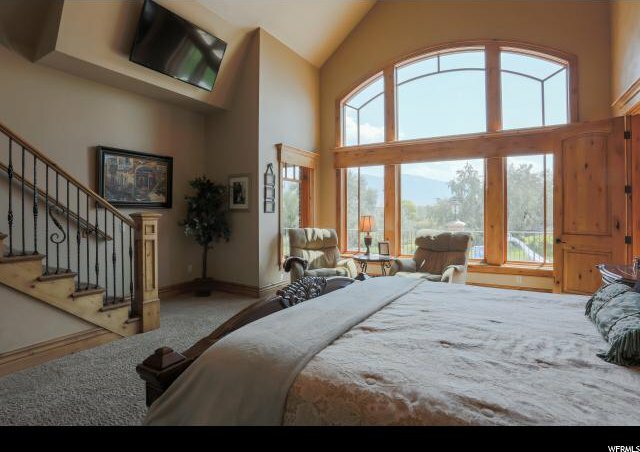 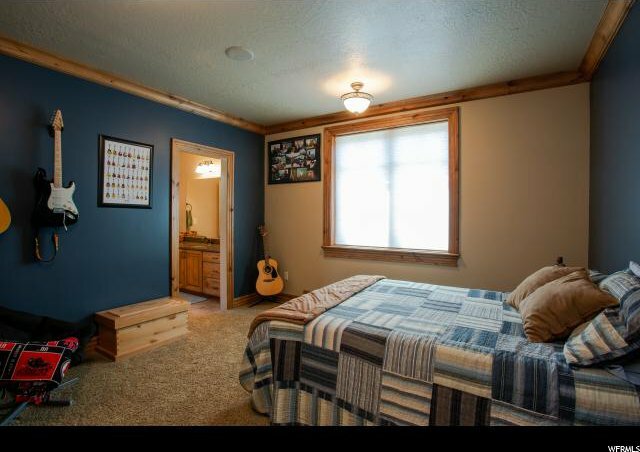 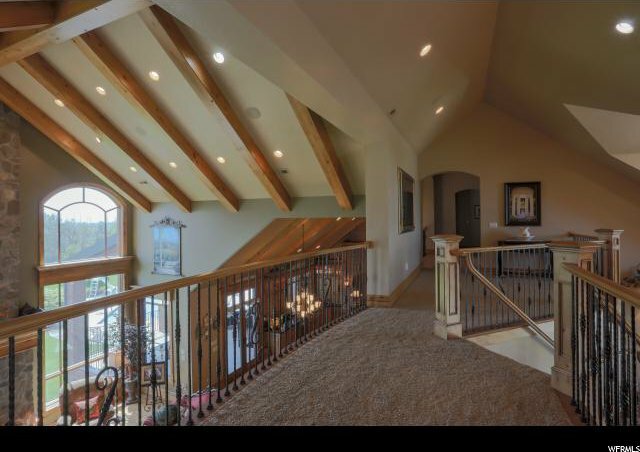 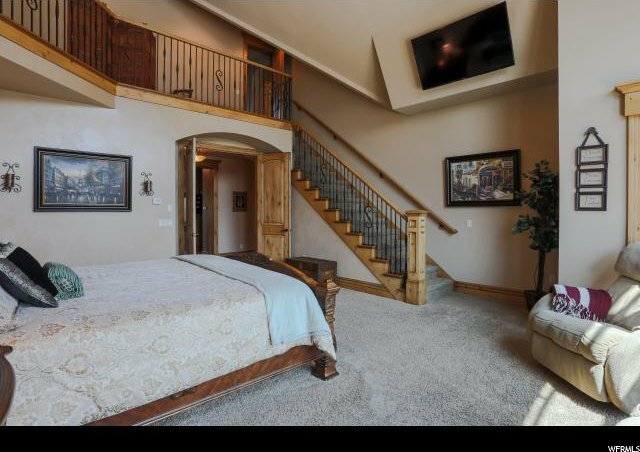 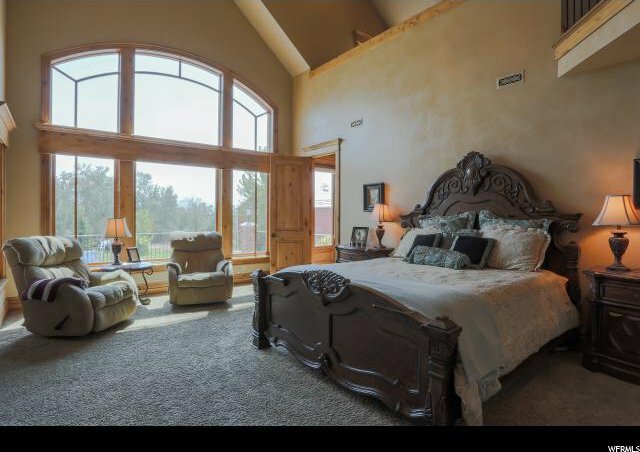 The two level Master Suite is spacious with a 24' vaulted ceiling and staircase to a private loft area. 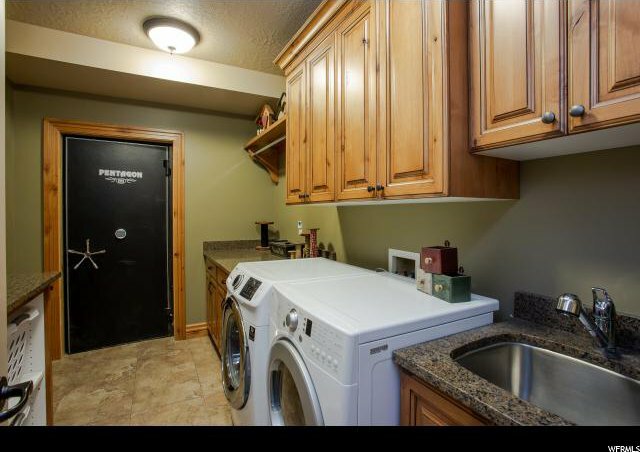 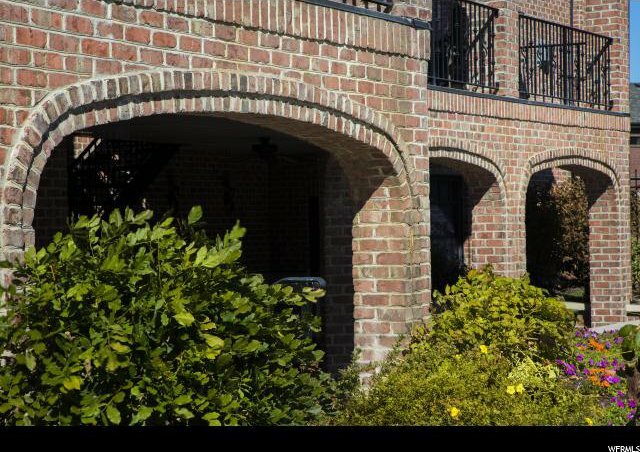 The upper level mother-in-law apartment provides 2 bedrooms, a full kitchen, bath, large pantry, laundry and balcony, with its own security system and private access from the garage and outside. 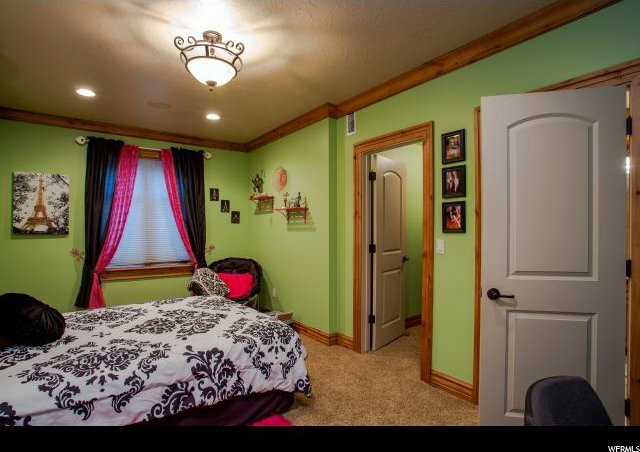 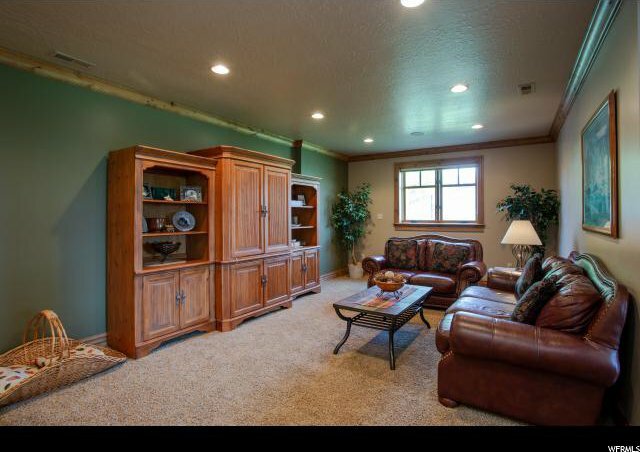 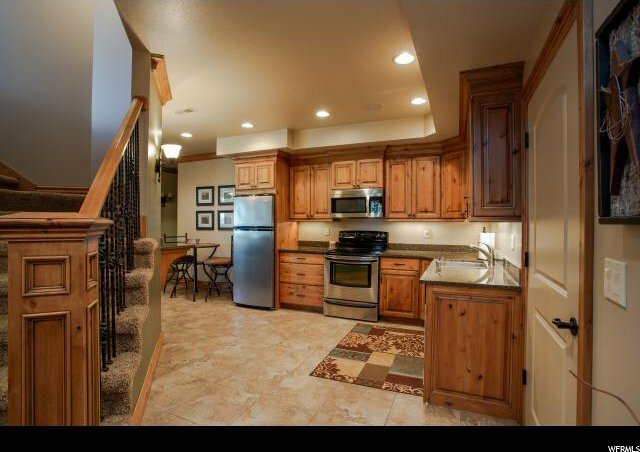 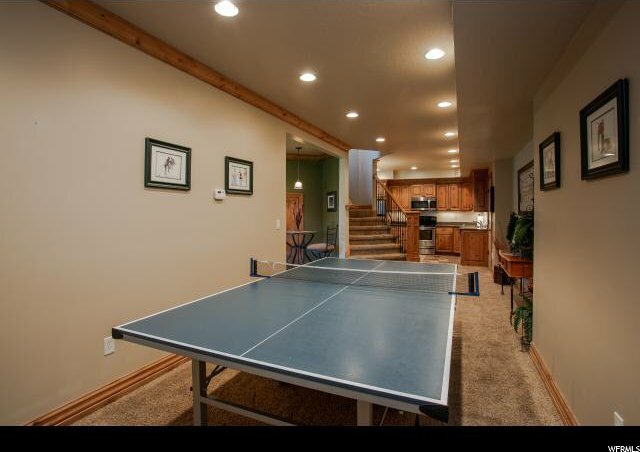 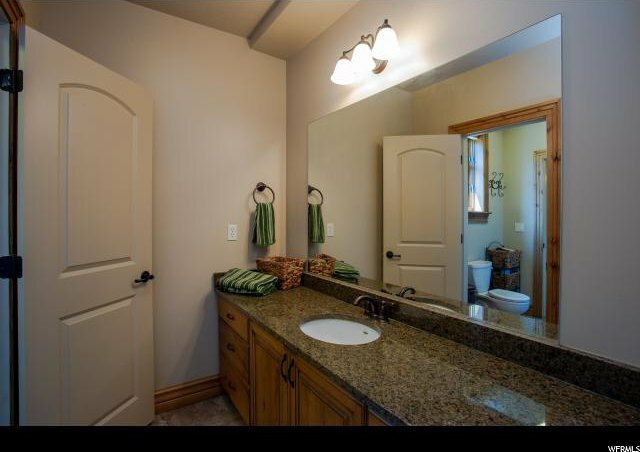 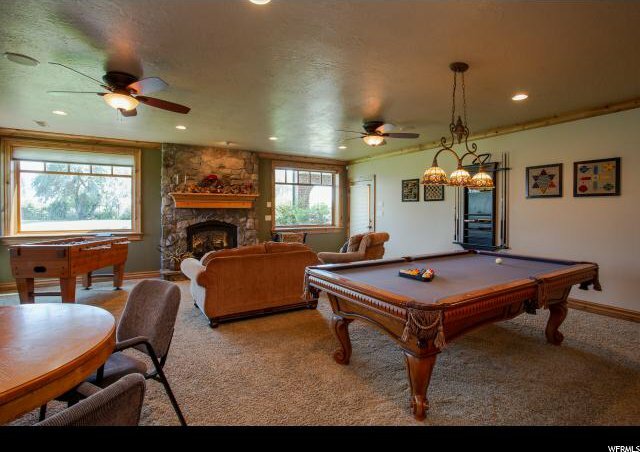 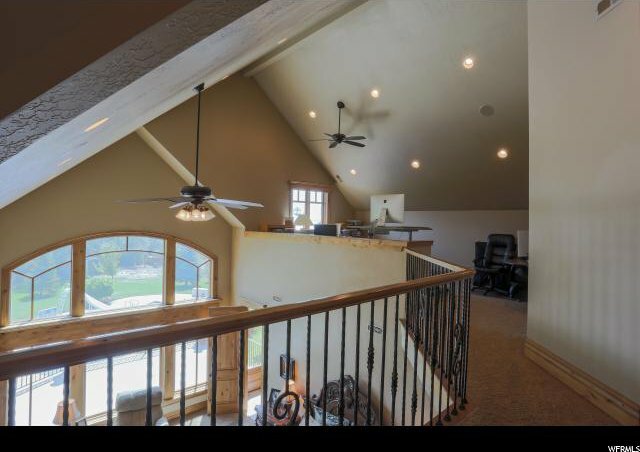 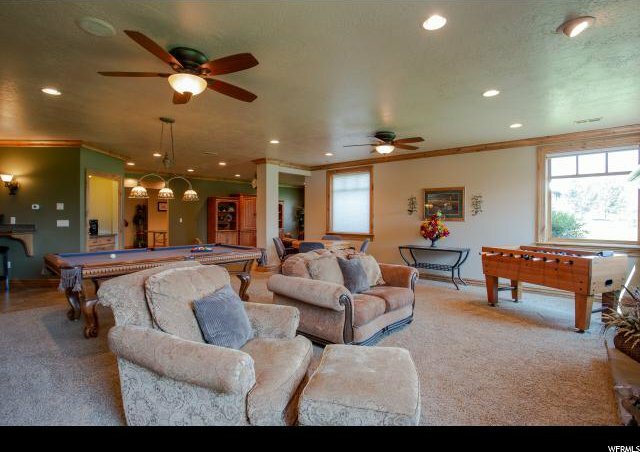 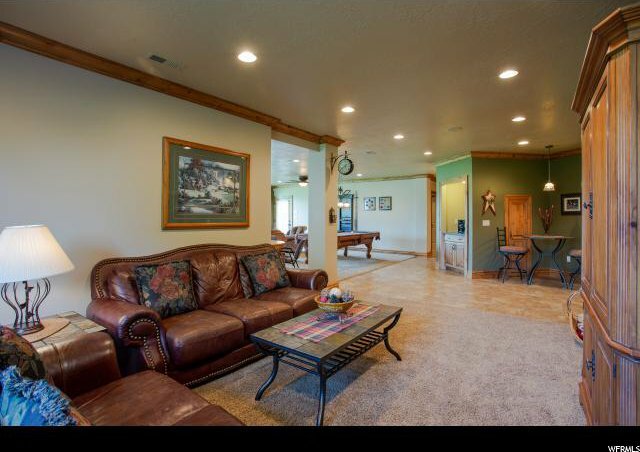 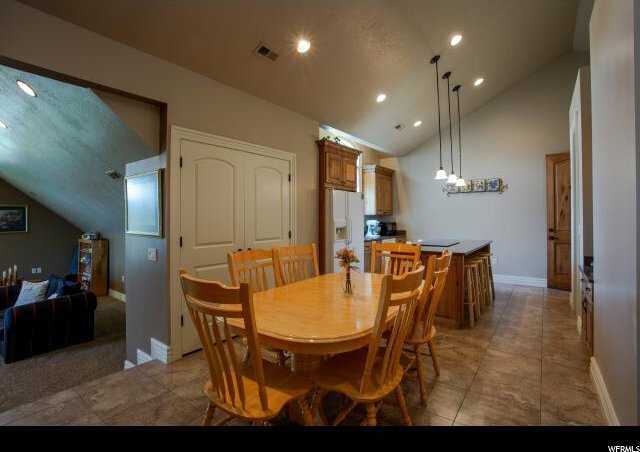 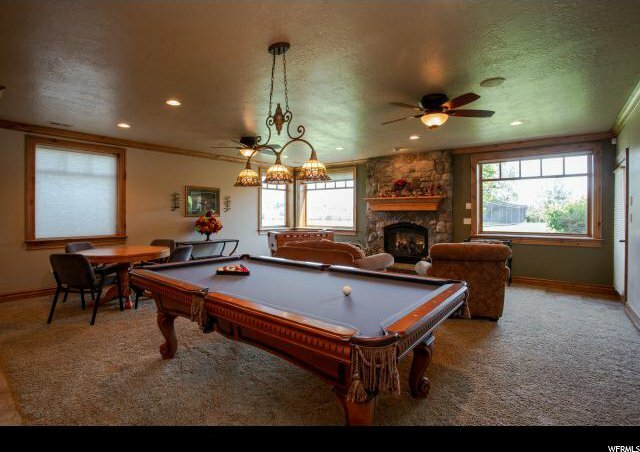 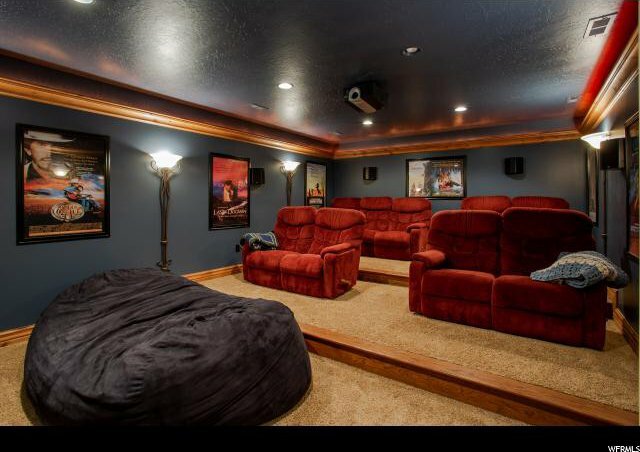 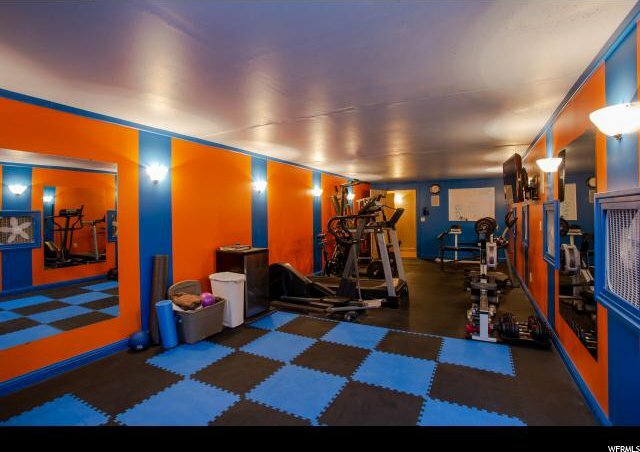 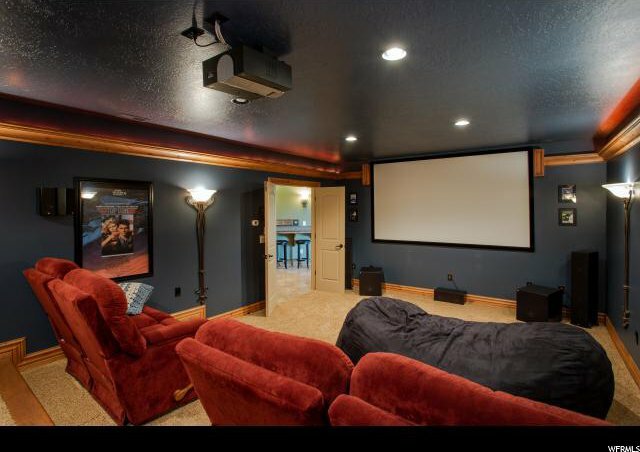 The fully finished walkout basement with 9' ceilings continue this home's attention to detail with crown molding, full kitchen, huge family room/game room, fireplace, theater, gym, walk-in safe, and lots of storage! 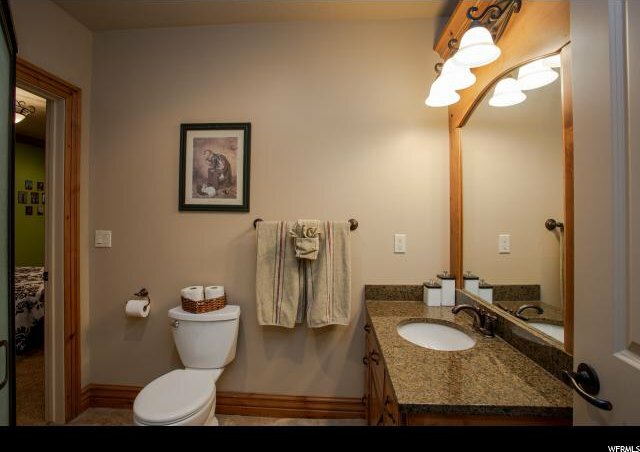 Much of the furnishings and dÃƒÂ©cor are available as an option. 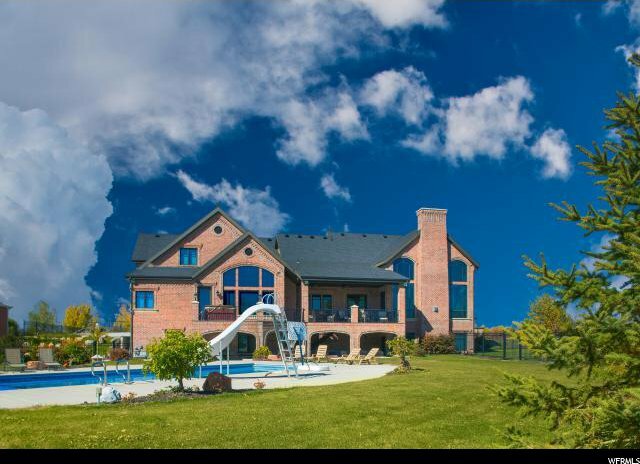 Enjoy amazing summer days in the spectacular heated saline swimming pool (with access to Ã‚Â½ bath, so no wet feet on carpet! 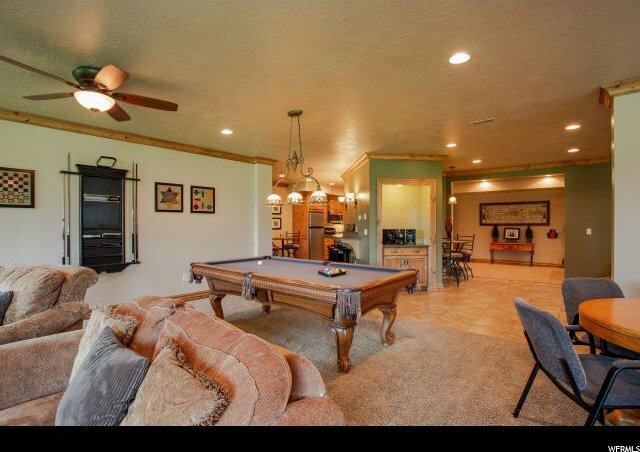 ), roasting hotdogs at the fire pit, or playing horseshoes or volleyball in the yard. 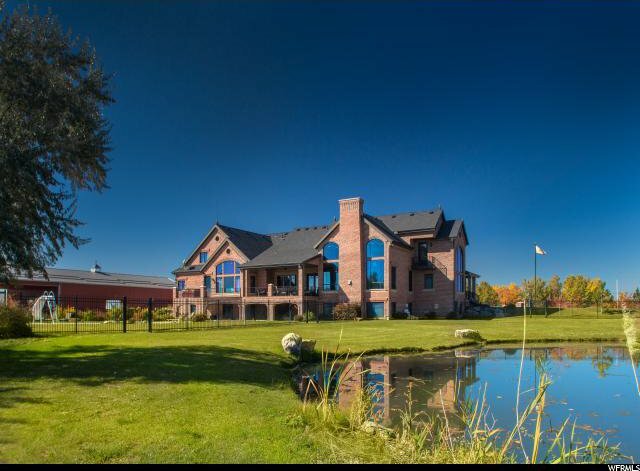 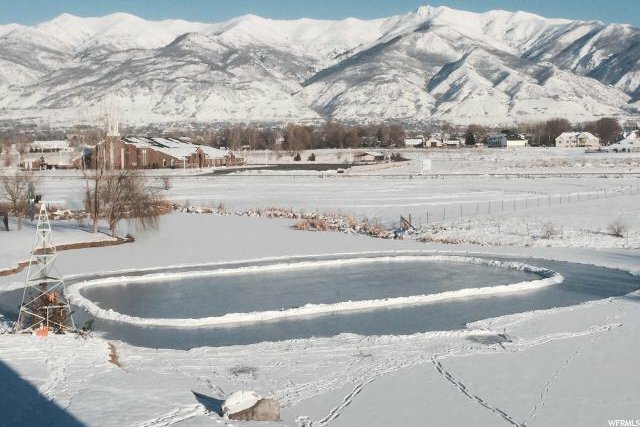 The adjacent Ã‚Â½ acre lot is also available, as an option, for greater access to the pond for winter ice skating or summer fishing and kayaking. 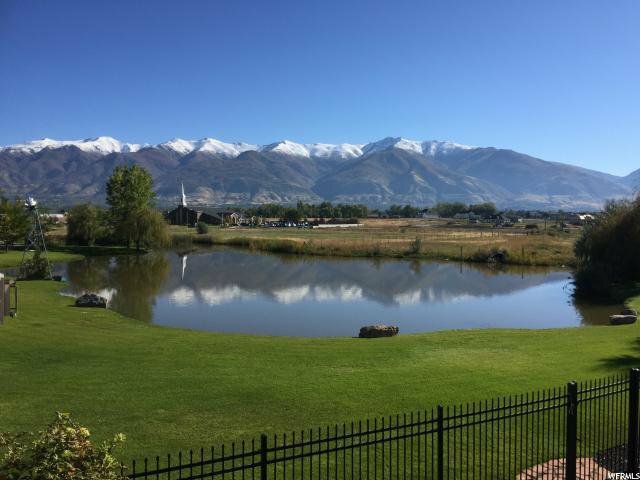 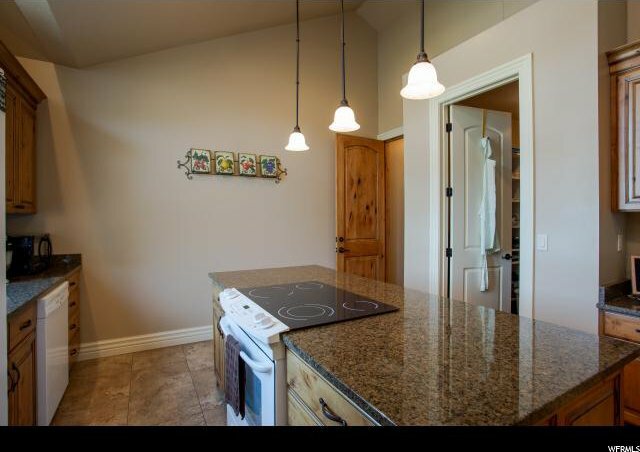 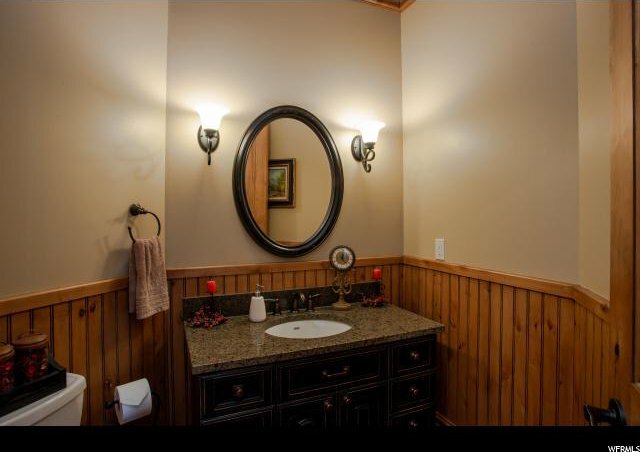 Other outdoor features include: heated front walkway, circular drive around a fountain, RV Pad with hookups, water and sewage dump, and a large generator providing backup power. 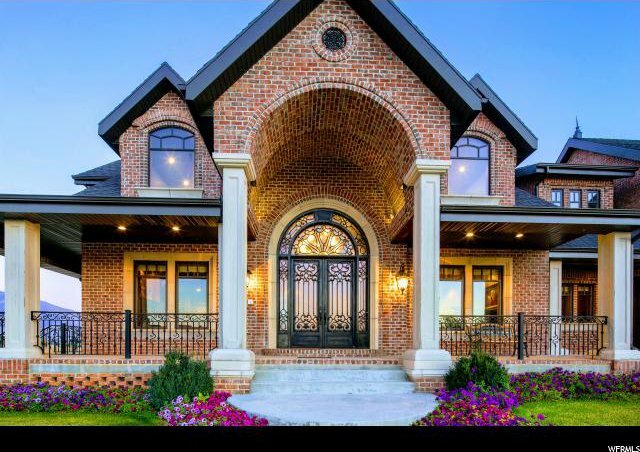 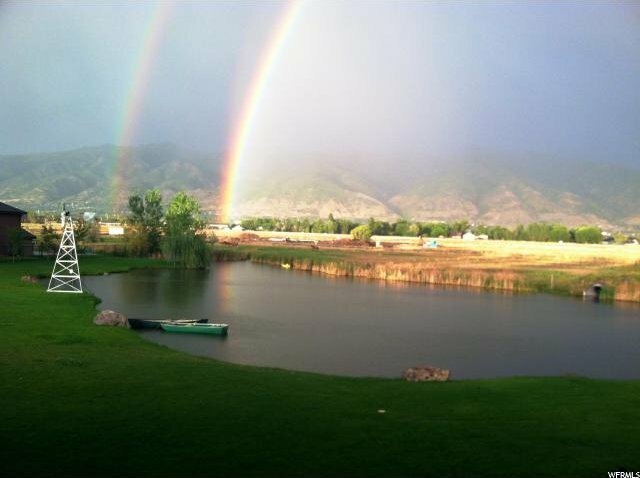 Don't miss this incredible home and property. 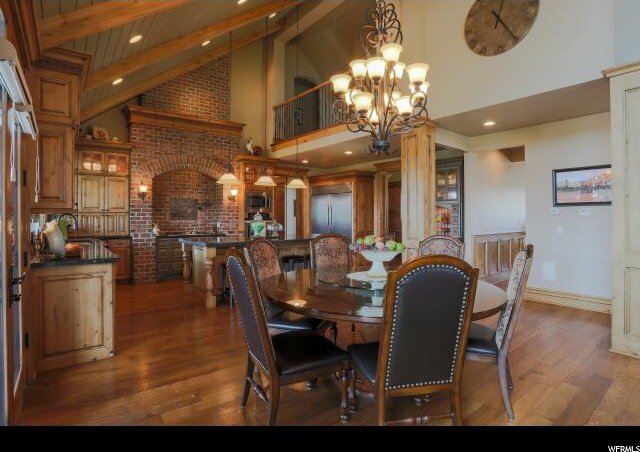 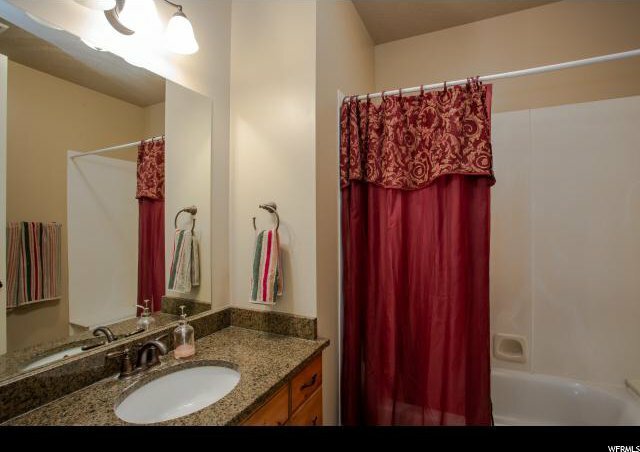 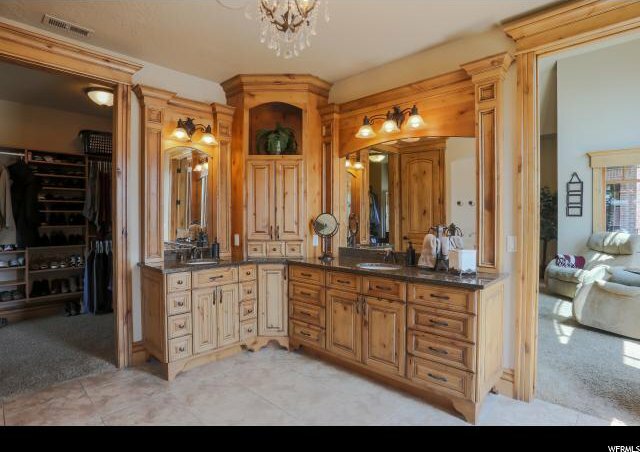 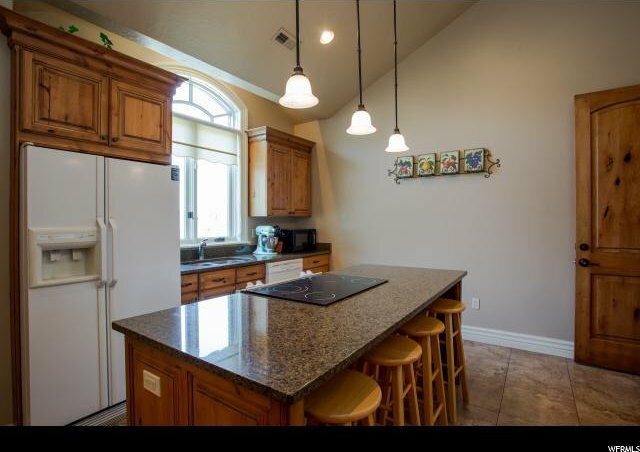 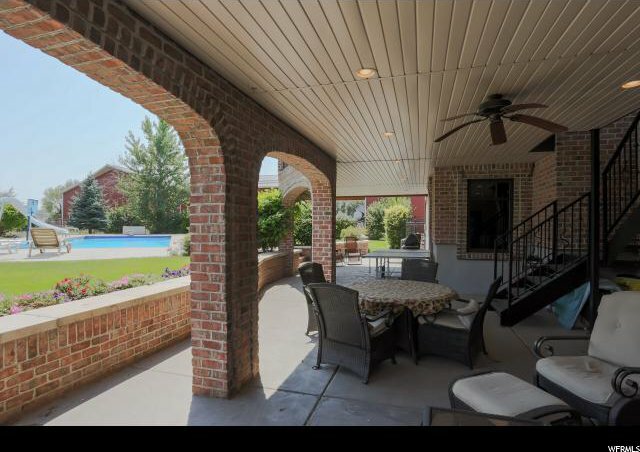 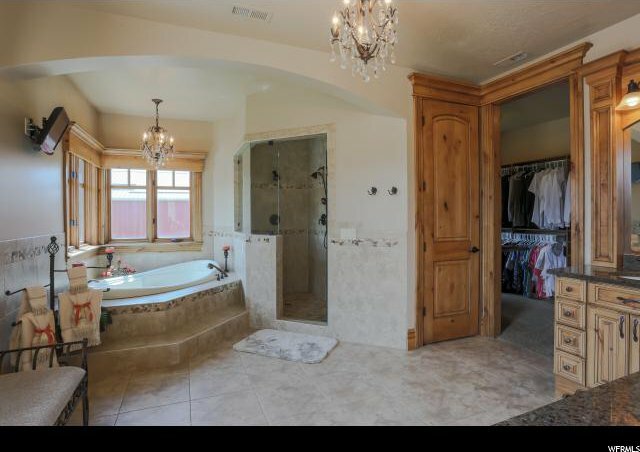 Listing courtesy of Ameristar Realty L.L.C..